If you have good mechanics and specific tools to disassemble the crankset, count easily 90 minutes, for a first assembly. Once experienced, about 10 minutes will be enough to put on or take off the system. If you need information, we are at your disposal to advise you on editing. Complet user manual loading ! Click below for load the user manual. User manual for the kit and screen contrôle. Video for assembly the LIFT-MTB mid drive motor . How work mid drive motor ? 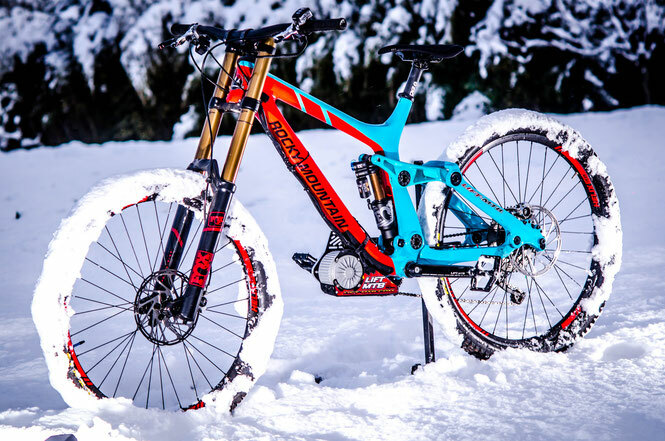 Simple in appearance the LIFT-MTB kit that consists of more than 75 references. As each cut or aerospace CNC machining part, diameter and screw length, thickness and quality of metal, heat treatment has been optimized for a weight / optimal strength. You just unpack your kit, quickly see the role and operation of key pieces and kit itself. -1- On the handlebars Place the ON / OFF switch and throttle control. it can be up to either the right or left according to your preferences, most of the time, we go up to the left to operate it with the left index is generally more ergonomic. Mounted on the right the rear shifter can be in the way. You just screw it on your frame with the ISCG plot (plots has provided the basis for receiving an chain guide), the upper part and with an adjustable rubber pad that come to bear against the frame for optimal rigidity. No modification or drilling is required, a cable tie can then be used to make sure the motor will never move. In testing it did not move once and was tested in all conditions. -4- Connect the throttle and the contactor through the waterproof sheet. The 2.4kg battery will take place in your backpack with a cable with quick connector of about 1.30 meters, it is connected to another which is usually placed near the head tube connector. (You can disconnect the cable and store it if you decide to make a long descent down without using the engine). The connection is Expected to withstand approximately 10,000 connections / disconnections. -6- Turn on the system. Just push to the ON / OFF button on the handlebars it is very easy. Once the system is switched ON, a light illuminates to indicate that the system is right. if you move the throttle, the informations are sent to the controller (in the little box above the engine), is sealed with a special resin for water resist. -8- The engine got the infos from the controller. This engine with a power of 450w brushed technology, and above all simple and reliable. It was developed specifically for have high torque at a very low speed, the crank speed must be defined very precisely, a conventional engine generally rotates 10 to 15 times too fast. So we get a couple and an optimal consumption at a given speed cadence of 80 to 100 RPM (more info here). This cog have a free wheel machined specifically on the motor, it's necessary for having no load resistances with the electric motor when you pedaling. 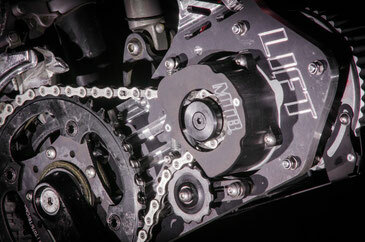 -10- The engine output cog and drives the crank by a chain. It is also specific crank, it have also a free Wheel , for avoid to turn the arms if the engine running and the rider don't pedal. Equipped with a heat treated ISIS axis machined and specifically has a constant diameter of 24mm (22mm/24mm for sram or 30mm axle for rotor and new race face ), this crank is designed to mount quickly at the same place as your original crank, without replace the bottom bracket. -11- When your battery gets weak. If it's the red light, you still have between 5 and 15 km range (depending on use), after that the controller (BMS) cut off the system. -12- It remains to recharge the battery. Nothing more simple, like a cell phone connect the charging plug to the battery. A red light indicates that it should be charged, a green LED will indicate the end of charge (if the battery is completely discharged, allow about 4hr for a full charge). You can see under some photos about the user manual. 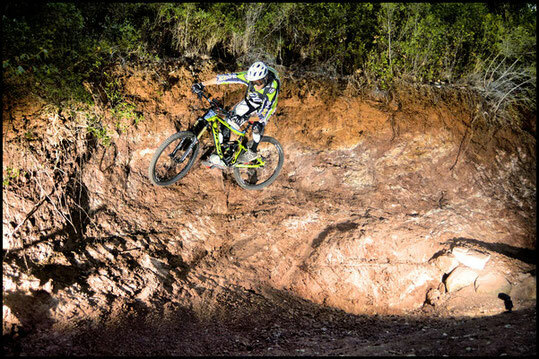 lift mtb beter than bafang on dh bike !